You did it! After writing, editing, and editing some more, you’re finally ready to share your pride and joy with the world via a price promotion! Whether you’re using your 5 KDP Select free days, Kindle Countdown, or a running a special promotion across multiple eBook retailers, temporarily lowering the price of your book and spreading the word about your promotion can be an effective way to reach new readers, build your email list, and create buzz for your works-in-progress. Here are some steps and resources to utilize for making your promotion the best it can be. It may seem somewhat counter-intuitive to worry about having book reviews before your promotion. Shouldn’t having a book promotion help you get book reviews? However, having a few reviews for your book beforehand may help with your book promotion. This makes it easier for potential readers to decide whether your book is for them. Additionally, certain book promotion sites require that you have a minimum number of reviews before you can use their services. While gaining those first few reviews can be difficult, check out my post on how to get your book reviewed and Nicholas C. Rossis’ post on the topic for strategies and resources that can help. Before launching my first book promotion, I read case studies of authors detailing their experiences running discount book promotions for ideas I could implement in my strategy. An important caveat is that even if you do the exact same things another author did, it’s unlikely that you’ll have the same result due to factors beyond your control. It’s important to set realistic goals for yourself during a promotion. Some authors may get thousands of downloads because they already had an established fanbase and a mailing list (neither of which I had when I did my first book promotion). In addition to providing ideas for what I can do to promote my book now, these posts are also helpful in thinking ahead and considering what may be possible once I have established my name as an author. 1. Becky Wicks, a romance author, wrote a post about her strategies for getting over 20,000 copies of her book downloaded without using BookBub (especially helpful because authors often find it difficult to get their book accepted by BookBub). She describes which book promo sites she used, how she used Twitter to spread the word about her promo, and strategies to encourage readers to review her book. She used this plan to launch her book to the top of her category. 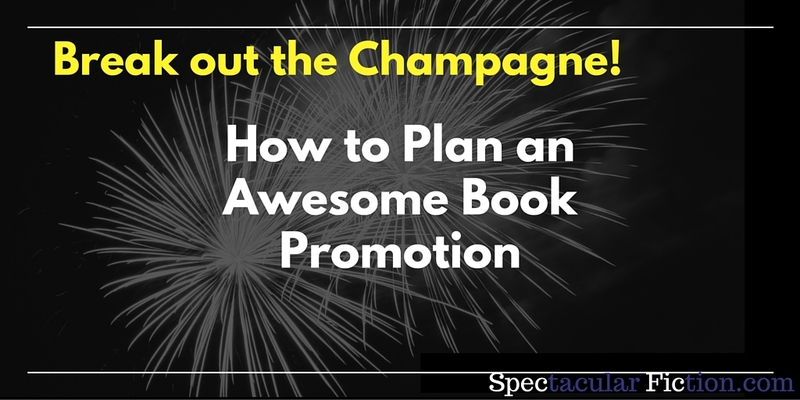 No matter your genre, I’d recommend checking out Becky’s post for ideas of what to do during your book promotion. 2. Annie Jacoby detailed her experiences promoting a series by making the first book permanently free. She emphasizes the importance of continuing to promote a permafree book (otherwise your sales will eventually plateau), writing interrelated book series, and publishing on platforms beyond KDP. Read more about her experiences in her post on the Kboards forum. If you’re planning a book promo, I’d recommend setting aside some time to do a search for other author case studies on your preferred search engine, Kboards, or the KDP Forum for more posts like those two to get an even broader idea of how to run a successful book promo and figure out which strategies are likely to be the most helpful for you. A BookBub post on bargain eBook buyers also provides helpful information on pricing your book during a promotion. Their data indicate that the higher you price your book during a promotion, the less likely readers are to purchase that book. While running a book promo, it might be more helpful to make your book free or lower the price to 99 cents for the most downloads. 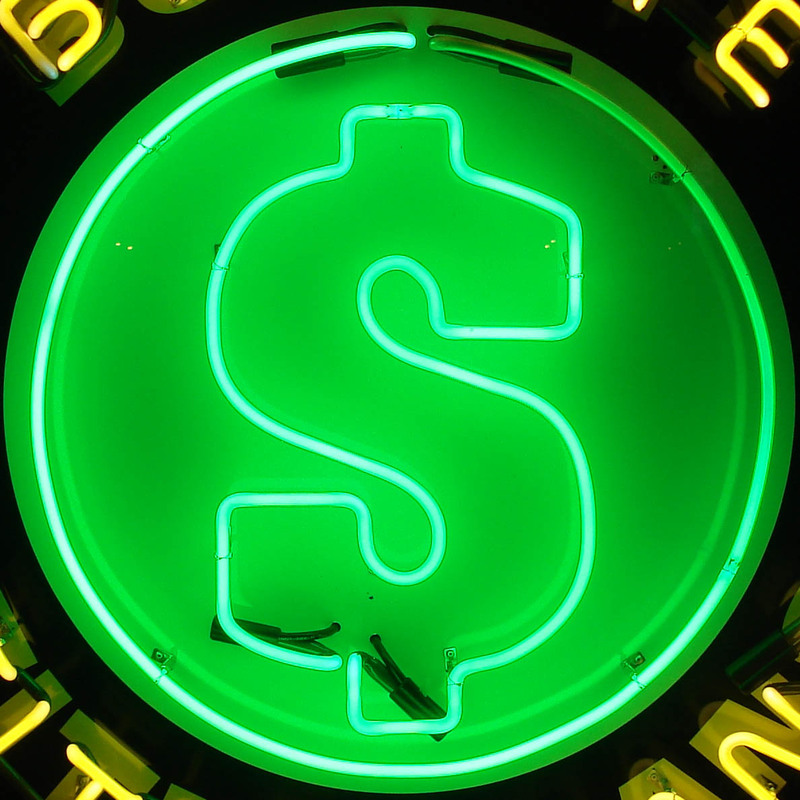 “Promoting your Series: Free vs. 99c,” by author Nicholas C. Rossis, provides more helpful data on pricing strategies during a book promotion and explores the data provided by Bookbub. This post compares 99 cent books to free books during a promotion, finding that the latter tends to get more downloads. 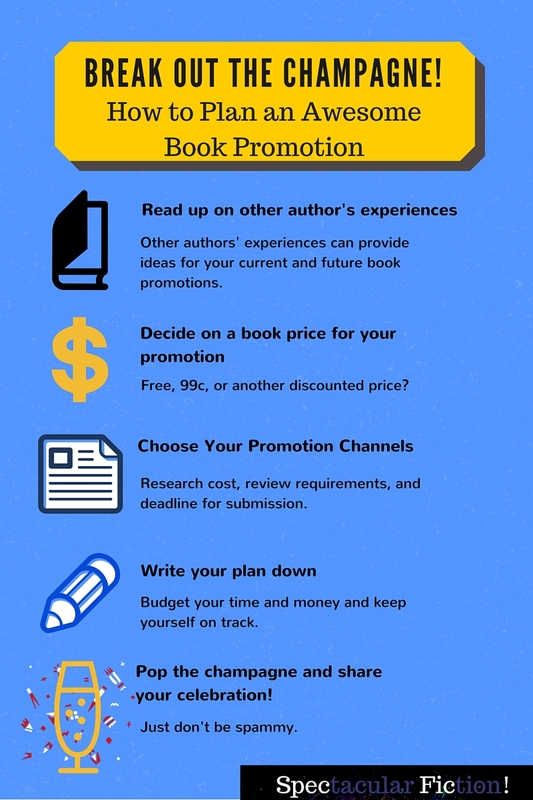 This is especially helpful if you’re promoting a book series: making the first book in the series free can also help increase sales of the rest of the books in your series. A popular way to promote your book is to submit it to sites that list current book promotions in an email newsletter, such as BookBub. There are tons of sites like this out there: some are free to submit your book to, others require a fee, and some lists cater to particular genres. Before submitting, make sure the site is worth your time/money, a good fit with your book, that your book meets the minimum review requirements, and if it has a deadline for submitting to the site (often 24-48 hours before your book promotion). Readers in the Know has an interactive list of book promotion sites that you sort based on price, minimum review number, and more. Author Marketing Club also provides an easy way to submit to these sites. Their Free Kindle Submission Tool lists 40+ submission sites and links directly to their submission form, saving you lots of time. If you need additional help deciding which channels may be more effective, take a look at Nicholas C. Rossis’ post on Book Marketing, which contains numerical analysis based on his survey of authors of how many books they sold/downloaded on these promotion sites. eBook Booster: a $35 service (used by Becky Wicks in her post) that submits your book to 45+ sites. James H. Mayfield’s VA Services: for $12 James will act as your VA and will promote your book on forums, Reddit, Pinterest, and a few other locations. If you’re really pressed for time, search Fiverr (a freelance marketplace) for Book Promotion gigs to submit to these sites for you. One gig that I’ve used (after hearing other writers discuss) is Bknights. A $5 gig will promote your book to their FB page with thousands of readers. Monthly Marketing Calendar to help you plan and track your promotion month by month. If you’ve read the case study I linked to above, you would see that Becky Wicks used images in her social media posts to promote her book. It’s best to not be idle – use your newsletter if you have one and find other ways to spread the word. Just don’t be spammy about it. I would also recommend tracking how many sales/downloads you got per day throughout your promotion and comparing that with which promotion sites you used (this may not be possible if you use multiple sites in one day). This way you have a better idea of which sites to use the next time you run your book promotion. What resources or strategies have helped you create a solid strategy for promoting your book? Really useful post Zed, thanks! As someone trying to learn as much as possible in the run up to launching my first novella, the information you have here is invaluable to me. There seems to be so many options out there for promotions, I find it easy to get overwhelmed, so thanks for this!